Now that Midterm Elections are over, we can move on with the MISSION! If you jumped out of the foxhole JUMP BACK IN and FIGHT! 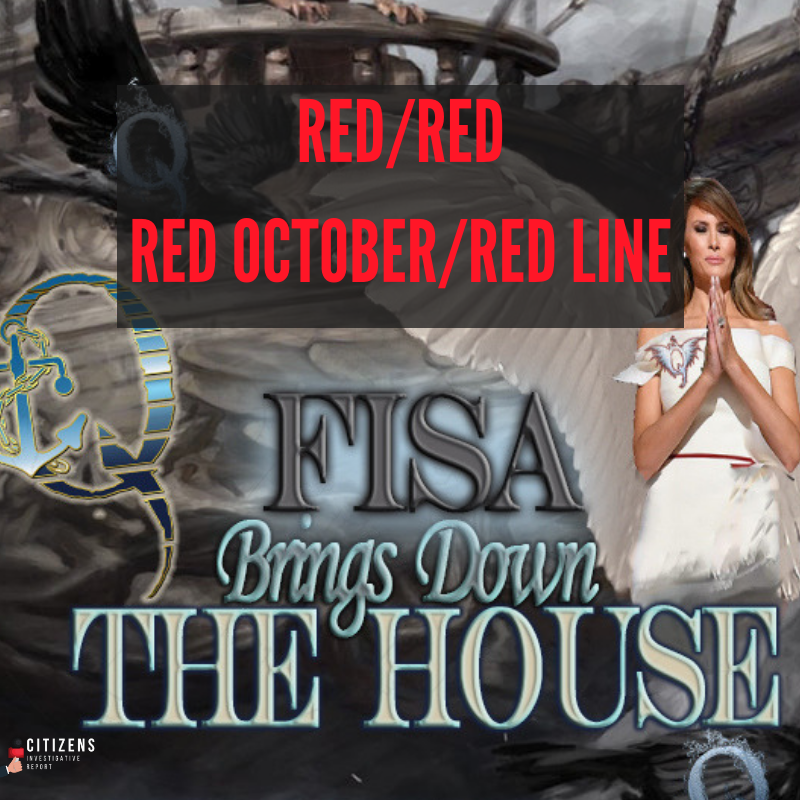 DECLAS of FISA BRINGS DOWN THE HOUSE! The House of Representatives was the BAIT, so that we could take the Senate! They Really DO TRY! The Senate was the Key and they told us for months that "FISA WILL BRING DOWN THE HOUSE". The House of Representatives! Senate Democratic leader Chuck Schumer said on Wednesday that acting Attorney General Matthew Whitaker, who was appointed by President Donald Trump after he fired Jeff Sessions, should recuse himself from oversight of the Russia probe. Matthew Whitaker, former U.S. Attorney, said he has always believed the Clinton Foundation scandal is more serious than the email scandal. At first, I was thinking that perhaps Ezra would replace Whitaker, but he is not an attorney, at least that I know of. But he would be a good replacement for Dan Coates, DNI chief. But in the context here, it is almost hinting Justice Dept. This will be interesting to watch. I know many speculate about Trey Gowdy taking this position and I tend to think he won't, but we never know until that time. Stay tuned on that one as well. What is important, is that the name Ezra Cohen-Watnick was brought up AGAIN! He is the current National Security Advisor to the Attorney General and is a protege of Mike Flynn. Cohen-Watnick gained a Bachelor of Arts degree from the University of Pennsylvania in 2008 and then reportedly worked for the Office of Naval Intelligence after graduation. Before joining the White House, Cohen-Watnick worked for the Defense Intelligence Agency (DIA), beginning in 2010, where he served in Miami, Haiti, Virginia and Afghanistan. Fun Fact...today is the Anniversary of Red October in 1917!! Martial law can be used by governments to enforce their rule over the public. Such incidents may occur after a coup d'état ( Thailand in 2006 and 2014, and Egypt in 2013); when threatened by popular protest (China, Tiananmen Square protests of 1989, 2009's Iranian Green Movement that led to the takeover by Revolutionary Guards); to suppress political opposition (Poland in 1981); or to stabilize insurrections or perceived insurrections (Canada, The October Crisis of 1970). The Posse Comitatus Act is a United States federal law ( 18 U.S.C. § 1385, original at 20 Stat. 152) signed on June 18, 1878 by President Rutherford B. Hayes. The purpose of the act - in concert with the Insurrection Act of 1807 - is to limit the powers of the federal government in using federal military personnel to enforce domestic policies within the United States. LOVE YOU ALL, and thanks for reading and watching! If you enjoy my work and would like to support me, here are the links. Thank you so much to all of my supporters. WWG1WGA!